Surely, you must know the citizens of Cleveland - at least those reading more than just the Cleveland Plain Dealer for news - are unwilling to live under these conditions any longer, and we have started a real battle with polluters here - are fighting AGAINST the OHIO EPA over permits for polluting facilities in the area, and are exploring criminal investigation against local government leadership here that allows excessive polluting and broad-based lead poisoning of our children - again, we have some of the worst health and THE WORST LEAD POISONING of any large city in America... and the poor health and lack of well being of the general populace shows all too well (please explore our dismal public school performance, for decades). Most or all of the business development agents you will meet with here do not seem to care. 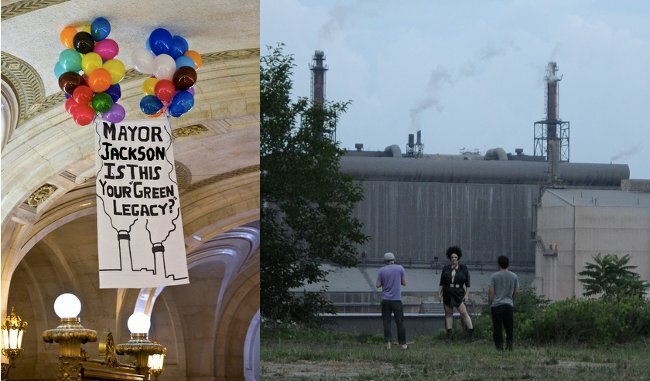 So, you see, the story of Cleveland is a tale of two cities.... citizens and polluters. Coming from Richard Daley's polluted Chicago, I'm sure you understand the dilemma here... knowing the rich of Chicago may be happy in fancy glass boxes but the real grass-roots citizens of Chicago are as disgusted with uncaring leadership and pollution there as we are here (and are leaving Chicago by the 100,000s... about 7% of the population departing in the last decade, including my son). The business development agents you are meeting with in Cleveland today are largely funded by Ohio taxpayers - Governor Strickland was very loyal to who he thought was his political base here and he diverted to select Cleveland organizations (the ones you are meeting with) and enterprises here the majority of the Third Frontier tax revenues citizens entrusted to him. We all know how important the Northeast Ohio vote is to politicians (not that this strategy worked out for Strickland). And, that has made business development agents here rich and powerful enough to "earn" your visit. But, I don't believe our business development agents have ever said "thank you" to the taxpayers of Ohio for funding them so generously. And, they do not show concern for our well-being in general. Our "leaders" also haven't said thank you to citizens for driving a community-wide initiative to stop one of our most serious pollution point sources - The Medical Center Company coal burning plant - from spewing tons of poison in our near-sacred University Circle... center of arts, culture, "healthcare" and education in the region.... even as we protected and bettered life for some of our region's most affluent neighborhoods... and for all the students, residents, workers and patients in the area. And, our "leaders" do not care about lead poisoning. In fact... the subject is near taboo among business-people and government leaders here, due to the power of Sherwin Williams and Jones Day in the region. I know, as I was a co-chair of the Infrastructure and Sustainability Subcommittee of the Greater Cleveland Lead Advisory Council for many years, and I asked our political and business development leadership to support that most important effort, and they did not. In fact, Jones Day inflicted irreparable harm upon my family for doing the right things about this, corrupting the community beyond repair in the process. While it is a nice gift for some select business development folks here that you - our President - are celebrating them and shining a light on their self interests, I believe it would be inappropriate for you to think they represent the interests of Cleveland. They may represent the dominant interests of some area business agents (I suspect few of whom voted for you) - extracting maximum public funding and Federal support for their efforts - and this may benefit some Cleveland politicians (mostly Tea Partiers) - raising money for campaigning - but, these people do not properly represent or serve the majority of regional leaders or citizens... and their lack of concern for the well being of the majority of Ohioans suffering with pollution, lead poisoning and the poor schools and economy that result is a serious problem here today. True leaders - people who make real sacrifices for their communities... who suffer at the hands of the powerful - are hard to find in America today. 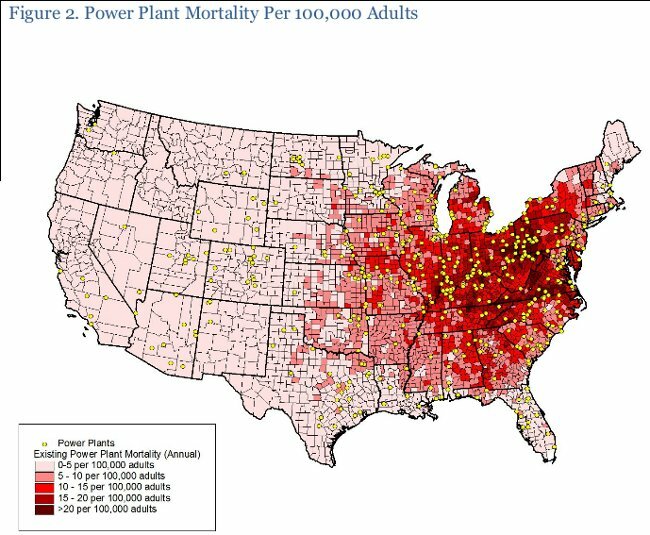 I met many such true leaders of America at your recent Environmental Justice Forum, at the White House, but I believe I was the only representative from this region... if not Ohio. We need to change that, by educating citizens here about the environmental injustices they suffer from here. The "leadership" here refuses to fulfill this duty. Industry and foundations are well funded and historically positioned to control the finances of old-industry communities like Cleveland, and to take any government funding and glory that may come their communities' ways - they write the mainstream newspapers and books about themselves, produce movies of their exploits, and promote themselves as broadly as possible, untruthfully, to the exclusion of all reality - that is called negationism... and it runs rampant here. Cleveland has more public relations people negating the truth about pollution here than real doctors serving the truly sick who result, it seems, as industry here is very effective at over-hyping its self-importance to gain more wealth and glory for itself, regardless of the harm... as we are the most LEAD POISONED large city in America. So, we WERE the paint and coatings capital of the world and ARE the lead poisoning capital of the world... and when Clevelanders think of paint they think of Sherwin Williams to the exclusion of caring about lead poisoning ruining the lives of 1,000s here each year... we are programmed here to coddle and even celebrate polluting industry here and not care about the consequences. As such, propaganda and unconscionable corporate behavior KILL citizens here. Please don't feed the monster. As an economist, I expect no better of coporations... but, as a citizen, I demand far better of government. I hope you have a good visit with our Ohio tax-funded business agents here today... rain $billions more Federal tax dollars upon them, if you choose... so long as that doesn't divert funding from addressing environmental injustice here... or come from more first, second or third frontier taxes on Ohio taxpayers. 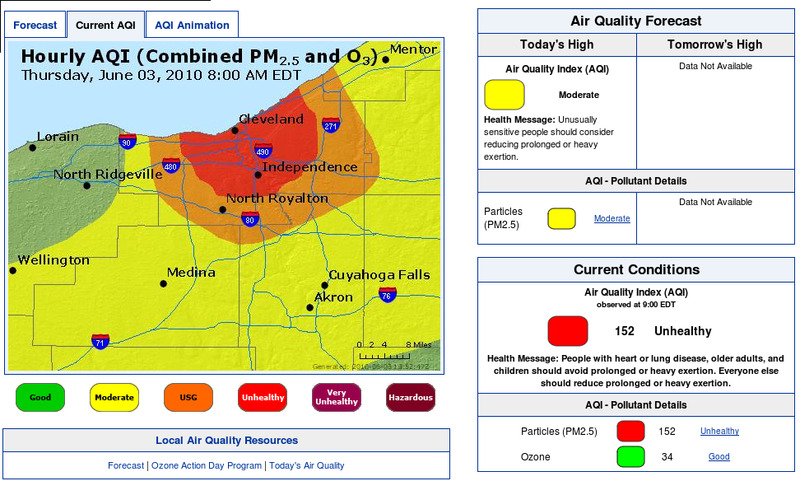 We're still waiting for our thank you note for the previous $ billions we provided these Ohio tax-funded business agents, and we need our remaining scarce resources to protect our health and human welfare from them, or to move out of town... and not to polluted Chicago. When you return to Washington, please send Ms. Jackson and HER A-Team here to meet with real citizens and community leaders fighting environmental injustices like the MCCO coal plant, Mittal, Cleveland Thermal and Lead Poisoning here, as that is the key to improving the health of our long-suffering citizens, transforming education here for good, saving the local economy, reducing skyrocketing healthcare costs, and saving the planet and humanity. Have the EPA contact me if they need a list of real community leaders to invite to that meeting - they have my email address. Submitted by DH on Tue, 02/22/2011 - 23:05. PS Mr. President: Please describe your administration's detailed plan to recover the lost tax revenue, lost jobs, and skyrocketing utility bills your Environmental Protection Agency will unleash on the people on NEO. Submitted by Norm Roulet on Tue, 02/22/2011 - 23:41. My property values just went up 20-50% by shutting down coal at MCCO - didn't cost the government a penny and increased the value of Cleveland by like $trillion. NOTHING KILLS AN ECONOMY LIKE POLLUTION. Read "I just spoke with the realtor who sold me my house in East Cleveland - he says he didn't know about the coal-burning here"
As far as I'm concerned, all property near a coal stack is worth far less than $0... explaining why so much of Cleveland is worth less than $0 and sitting in a landbank. We'll take care of everything for you, buddy... just keep huffing til we get to your tea party. Submitted by Norm Roulet on Wed, 02/23/2011 - 00:38. ...President Obama named Steve Case, the AOL founder, to the new White House Council on Jobs and Competitiveness. The announcement by Mr. Obama came at the start of the president’s forum in Cleveland that is meant glean ideas from small-business owners about ways to jump start the economy and small-business growth. Mr. Obama has hauled several Cabinet members with him to Cleveland to take part in the event. Mr. Case is already leading a panel of business executives who will encourage private investment in small, entrepreneurial start-ups that is backed by the White House. The president previously named Jeffrey Immelt, president and C.E.O. of General Electric, to chair the jobs panel and named Paul Otellini, the chief executive of Intel, as a member.